On Monday, the hearing on the challenge to the alleged practise of Female Genital Mutilation (FGM) as followed by the Dawoodi Bohra Community in India witnessed engaging exchanges between the bench headed by Chief Justice Dipak Misra and Senior Counsel Abhishek Manu Singhvi, who is appearing for the community. The stand of the senior counsel is that the community follows Female Circumcision(FC), which is different from Female Genital Mutilation(FGM). The contention is that FC is a benign practise, unlike FGM, which is barbaric and reprehensible. Dr. Singhvi was attempting to justify the essentiality and integrality of the practice to the faith, depicting its origin and the consistency and continuity of its existence based on religious texts dating back to the 10th century. “The question is only if this has been a holy practice or not...it is not a fanciful, recent development”, he contended. Chief Justice Misra also observed that any practice purported to be essential or integral to a religion and hence entitled to the protection of Article 25 would be tested on the touchstone of public health and morality. “My sense of morality may be outraged by various things. Is this what Article 25 says? Perception of morality shall differ...if the same Article protects essentiality, the morality which it envisages cannot be deemed to run counter to this essentiality”, submitted the Senior Advocate. “No, it means constitutional morality...it must grow from the Constitution...a practice which hurts gender identity or requires women to be appealing to their husbands reeks of male chauvinism...constitutional morality cannot allow this”, remarked the Chief Justice. The Chief Justice said that practise affecting dignity of an individual cannot be accepted. 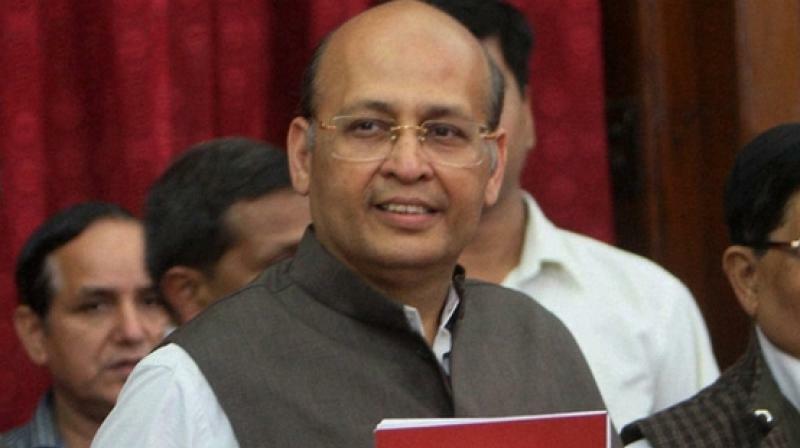 “Your Lordships have to guard against the subjective use of this phrase (constitutional morality)...would Your Lordships say that the universally-accepted practice of Male Circumcision (MC) is constitutionally moral, but FC, which is prevalent only in a small community within Islam, is not?”, advanced Dr. Singhvi, commenting that ‘constitutional morality’ is only the injection of contemporary standards by lawyers and judges. “The Aghori tribe practices cannibalism. That is an extreme case...Among Hindus, ‘sati’ was prevalent. Even that was not abolished at the behest of the judiciary but by an Act of the Parliament. Your Lordships had said that in upholding the constitutionality of that enactment, the will of the people of India speaking through the Lok Sabha was being upheld”, he persisted. “The (impugned) practice has been in existence for 1400 years. Only now is it being challenged and that too by a PIL. 99.9% of the Dawoodi Bohra woman stand by this practice”, he argued. Justice Chandrachud expressed his doubts about this last assertion. He indicated the Fundamental Duty in Article 51A(e), obligating the citizens to renounce practices derogatory to the dignity of women. “Can the practice be said to be derogatory if the community is accepting it?”, ventured Dr. Singhvi. “The practice may be continuous but it is dated. There has to be some transformation”, noted Chief Justice Misra. On Monday, the Senior Advocate repeated that ‘Taharah’ or ‘purity’, which is one of the 7 pillars of the Fatimid school of Islam to which the Dawoodi Bohra community belongs, requires the performance of circumcision- it is believed to secure the religious and spiritual purity which is necessary for offering prayers. He once again narrated how Prophet Abraham had circumcised himself with an axe at the age of eighty years, upon being ordered by ‘Allah’ to do so. He also indicated the commonality between MC and FC in the texts, how the texts deem both to be at par. The Senior Advocate quoted from the religious texts that followers are not to circumcise their daughters until the age of 7 years; that in Islam, an uncircumcised person must not be left in that state, and that if a woman reaches an older age uncircumcised, she must be made to undergo the procedure then. “That the practice is mandatory is reflected from the direction that girls must not be circumcised before they attain the age of 7. In addition, even older women are required to be circumcised where the same was not done earlier”, advanced Dr. Singhvi. He further read from the religious authorities that FC is to be engaged in to “preserve the colour” of the girls and because it is “more favourable for them near their husbands”. He sought to argue that the practice was not intended to make females appealing to their husbands but for themselves. However, Senior Advocate Indira Jaising, representing an intervenor, a Dawoodi Bohra woman, objected. He relied on the 1962 constitution bench decision in Sardar Syedna Taher Saifuddin Saheb where, in striking down the Bombay Prevention of Excommunication Act of 1949, the apex court had noted that the Mishak, which every Dawoodi Bohra takes at the time of his initiation, encompasses an oath of unquestioning faith in and loyalty to the Dai, including his power to excommunicate. Explaining that the ‘Dai’ is the living, human representation of the ‘Imam’ whose word is not to be questioned, he forwarded the “sui generis reason”, peculiar to the community, in observing the impugned practice. With a view to distinguish FC from the practice of Female Genital Mutilation, Dr. Singhvi also drew the attention of the bench to the portions of the religious texts holding liable the female circumciser for the crime of excessive cutting beyond the prescribed area.